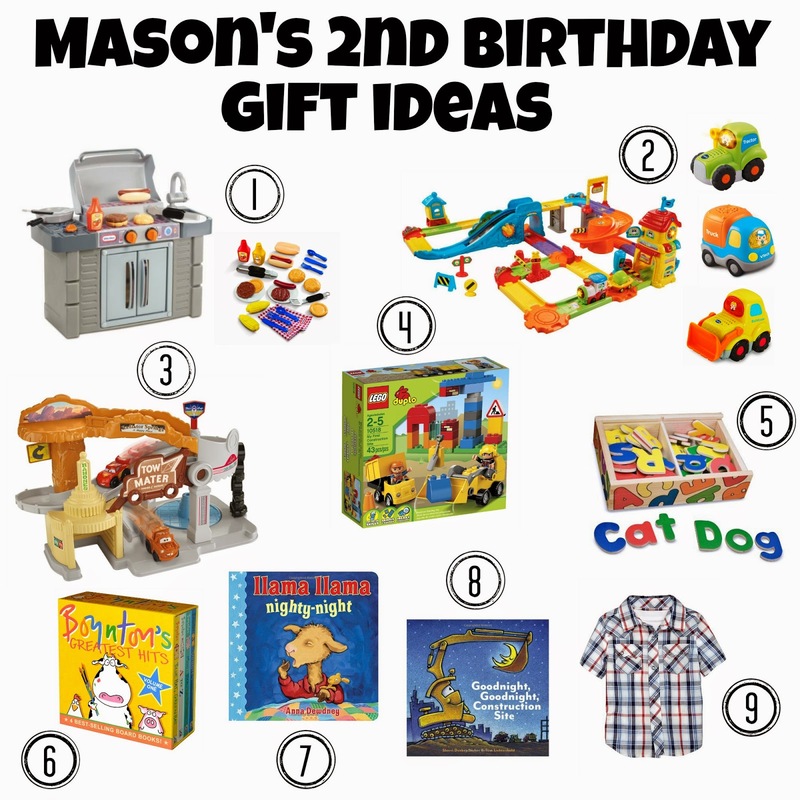 Chasin' Mason: [2nd birthday] Gift Ideas. With Mason's 2nd birthday quickly approaching (exactly one month from today... eekk! ), I thought I would share some of his wish list my wish list items for him. I tried to get a mixture of items on it since I don't want to overload our house (or him) with toys. I would like some educational items as well. One. Little Tikes Learn and Grown BBQ Grill. I mean...come on! How stinkin' cute is this?! I originally wanted to get him a kitchen, but realistically, we don't have room for one. This BBQ grill is not only stinkin' cute but also smaller. Plus Mason LOVES to go outside and watch Seth grill so I figured this would be right up his alley. And these grilling' goodies would make awesome accessories! Two. VTech Go! Go! Smart Wheels Train Station. We have the airport and Mason loves to play with it. I would love to add tracks to our current one or to get another set and combine them. I'd also love to add some more vehicles to his collection. This tractor, bulldozer, and truck are so cute! Three. Fisher Price Little People Wheelies : Cars Radiator Springs Playset. We have the Little People Farm and love it. Mainly we love to play with the animals and make animal noises. This Cars playset looks so fun! Mason LOVES everything with wheels these days, especially Lightning McQueen and Mater so I think this would be a big hit! Four. Lego Duplo : My First Construction Site. Right now we only have some Mega Blocks. Mason still likes to play and build with them, but I'd like to expand his collection to some "older kid" Legos too. Five. Melissa and Doug Magnetic Wooden Alphabet. Mason loves the animal magnets that we got for the fridge for Valentine's Day so I think he would love these too. 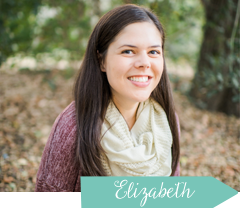 I love that they are educational and we can help him learn his letters and words. Six. Sandra Boynton's Greatest Hits : Volume 1. We (and I say we because Seth and I love it too!) LOVE Sandra Boynton's Barnyard Dance book. We read is every single night. It's become part of our "must reads" at night and we love to add a country twang while we read it. I'd love to have more of her books to read to Mason at night. Seven. Llama Llama Nighty-Night. Eight. Good night, Good Night, Construction Site. We don't have any specific bed time books and I think these ones are fun! Nine. Clothes! Shirts, shorts, pants, shoes. Clothes are always welcome and always a great gift. What would a two year old boy like for his birthday? My mom just got Noah the Home Depot toy grill for our new deck and I'm so excited to set it up! I can just picture Chris and Noah grilling side by side! And the llama llama nighty night book is our favorite (as you know)! I love everything on your list... I want those magnetic letters too! I can't believe he will be two in a month! They grow up too fast! Look at all that fun stuff! We have so many Sandra Boyton books - they are the best!! We don't go a night without reading at least one of her books! I have that grill on the list for Reed's birthday too. If you get it you'll have to let us know how Mason likes it! That grill set is so super cute!! I have my eye on those magnetic letters for my daughter too; I love Melissa & Doug toys :) We have a bunch of Sandra Boynton books and LOVE them, especially Snoozers and But Not the Hippopotamus. Dinosaur's Binkit is a good one too. I have zero experience with any of this- but it all looks SO FUN! And I'm bookmarking this for when my nephews turn 2 this year! We love Goodnight, Goodnight Construction Site at our house! Love these! We have the magnetic letters and the goodnight construction book! I really want the magnetic letters for Mason, but wasn't sure how good they were. Good to know you guys love them! I love all the Melissa and Doug toys...so fun and educational! Love everything here. I have been putting a list together too. And we have a lot of the same ideas. I so want a kitchen/ grill for Myles. I have been looking at them for a while now trying to decide. We have the train station set, but I think I want to get Myles a wooden set now. I'm hoping he wont just want to destroy it by now. I'm hoping he will want to get into legos soon too. I lived legos as a kid so I can't wait to put them together with him. I also want to find some age appropriate art/crafty stuff. I lovee the bbq! I have one on Aria's little amazon wish list. So cute! She can go out with dad and bbq! Now I want bbq.